This I had planned to do a few posts about some creative endeavours I’ve been working on. But then I also found some amazing finds at Yard Sales over the weekend. So I’m doing a mash up of my own humble efforts contrasted with some more accomplished pieces. I’ll start with this painting that I picked up for $5 on Saturday. 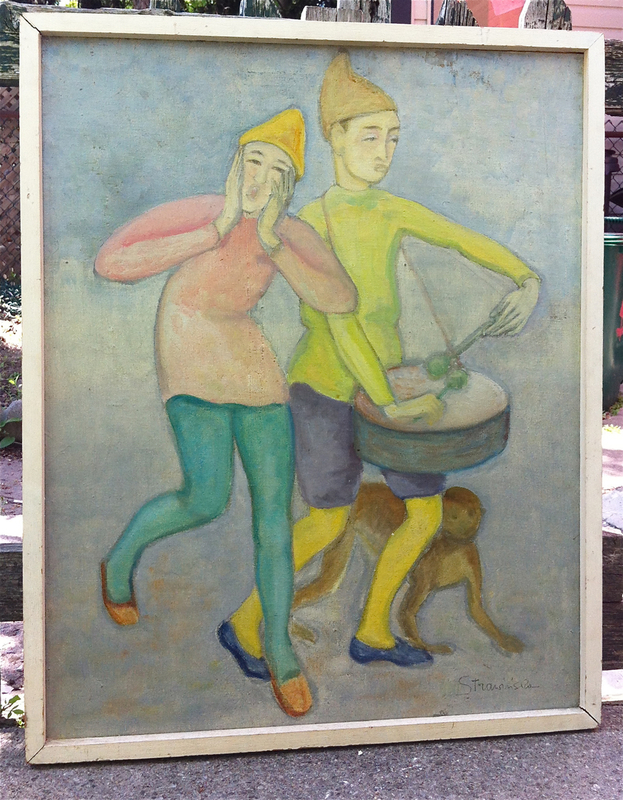 It is signed by the Polish/Canadian artist Maria Strawinska-Mazur (1914-1992). I wasn’t able to find out much more about her on the internets, so perhaps a trip to the library is in order. What attracted me most to the painting (other than the fact that there’s a monkey in it), is the colour palette. 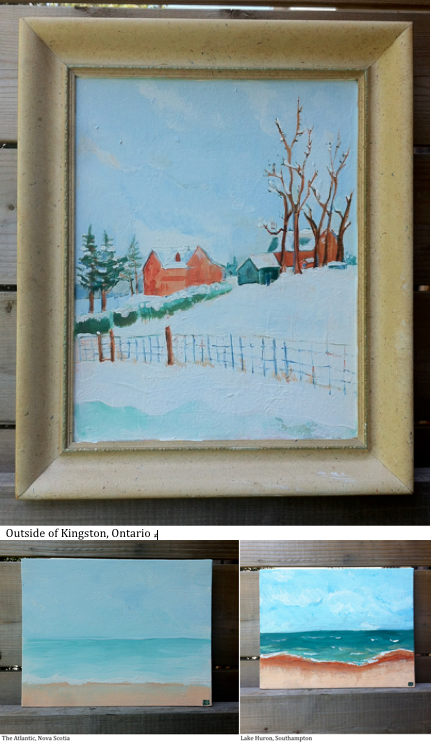 I’ve been working on a series of Canadian landscapes with a similar colour scheme. They are still works in progress, but I thought I’d share a snapshot because making them has brought me a lot of happiness.